I knew that I would love it. I had a feeling. What I didn’t expect was the trick to the senses. All visual but so stunning that you focus on the characters, forgetting that they are colorless and silent and more reminiscent of Dorothy’s life pre-Oz. I assumed it would feel like Singin’ in the Rain, but this felt more like Life is Beautiful. You fall for characters while reading their lines on the screen. Movie magic indeed. You have to listen with your eyes, and when a tinkling or buzz or clomp breaks the silence you are stunned – awakened by sound. You dream in film score now that you hear its beauty. Thank you, Ludovic Bource, for the original music of this film. 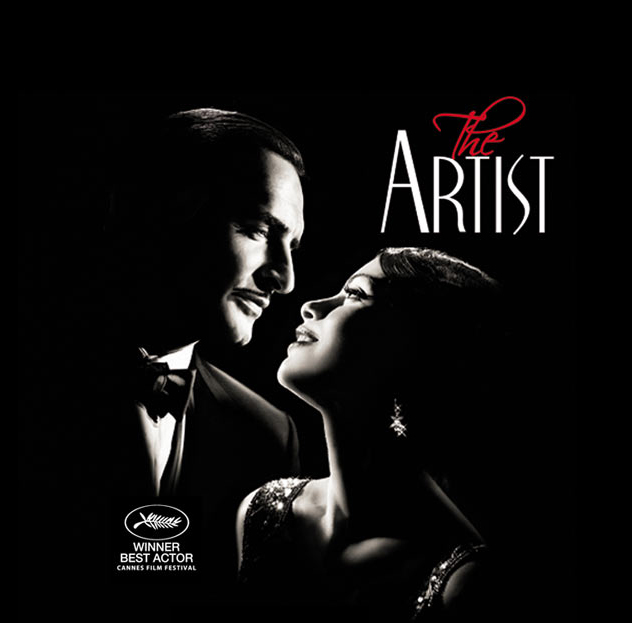 The Artist romances your senses, enabling empathy for an era of beauty almost forgotten: for flammable film reels, the glamor of the silver screen, of penciled in eyebrows and beauty marks, of stick-on-mustaches below twinkling eyes, of alert and responsive audiences, of characters who break the fourth wall until you feel kissed in your plush theater seat. 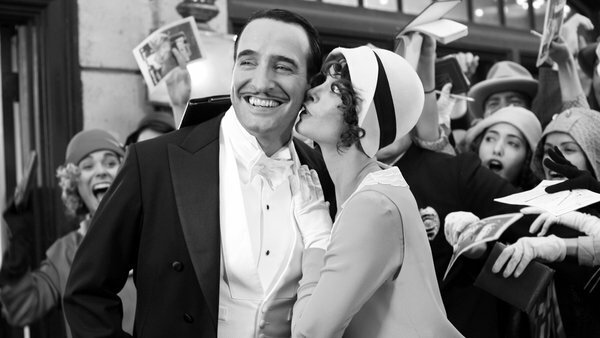 The stars of this film: Jean Dujardin and Berenice Bejo enchant and entertain. True stars. So, the brilliant and unsung Artist of this film is its creator: (Writer / Director) Michel Hazanavicius. Need to see it, and your review makes me want to go, but I wish Oscar could learn a new dance. I did a write up on this on Monday. They are getting too predictable.